•Within days of being born, we are infected with billions of E. coli. They will inhabit each and every one of us until we die. E. coli is notorious for making people gravely ill, but engineered strains of the bacteria save millions of lives each year. •Despite its microscopic size, E.coli contains more than four thousand genes that operate a staggeringly sophisticated network of millions of molecules. •Scientists are rebuilding E. coli from the ground up, redefining our understanding of life on Earth. In the tradition of classics like Lewis Thomas's Lives of a Cell, Carl Zimmer has written a fascinating and utterly accessible investigation of what it means to be alive. Zimmer traces E. coli's remarkable history, showing how scientists used it to discover how genes work and then to launch the entire biotechnology industry. While some strains of E. coli grab headlines by causing deadly diseases, scientists are retooling the bacteria to produce everything from human insulin to jet fuel. 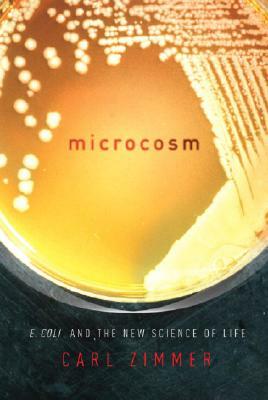 Microcosm is the story of the one species on Earth that science knows best of all. It's also a story of life itself--of its rules, its mysteries, and its future.